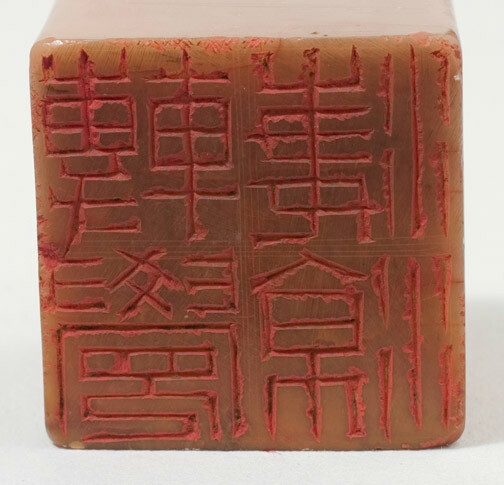 19th or early 20th century shoushan stone Chinese seal in a very simple form. 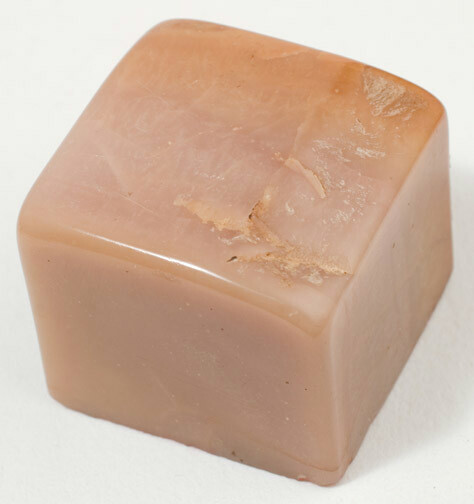 It is purely a polished square form shape with only a naturally polished indentation at the top. 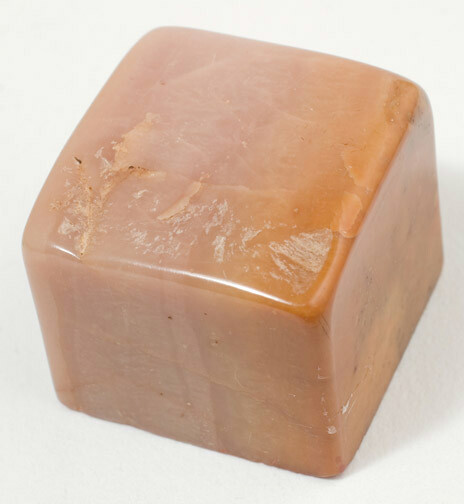 The color is buff with a caramel tone on one side. 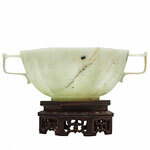 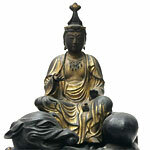 It has a stylized calligraphic form carving on the bottom.